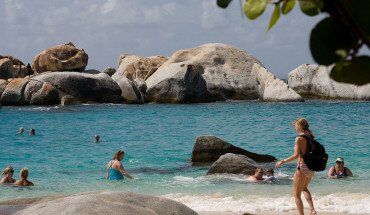 Virgin Gorda: what’s it all about? While most folks are familiar with the British Virgin Islands, Virgin Gorda rings less of a bell when one asks a random on the street about it. Virgin Gorda is the antithesis of Saint John, its more popular neighbor, which is rife with designer boutiques and larger resorts. With this commercialized isle attracting most of the attention away from Virgin Gorda, it has a vibe that is far more laid back, with lower key developments and villas being the only intrusions on the natural landscape. As a result, the people that live here are more genuine and authentic, and with the island only being eight square miles in size, you’ll have the deserted Caribbean isle experience that you have long craved. What’s my best option for accommodations? As mentioned earlier, most of the outstanding lodging on Virgin Gorda tend towards smaller, more private accommodations. With scores of Virgin Gorda villa and vacation rentals fit for royalty being available (book early if you plan on coming during high season), you’ll be able have access to the exclusive digs that you have lusted over in travel magazines for many years. Traveling with a group? If you split the elevated rent rates multiple ways, something that has long seemed like an impossible dream will become easily doable, so don’t be afraid to get your friends together and put together a bold plan to have one of your best travel experiences yet! Despite being a bit on the small side, Virgin Gorda has plenty of sights and activities that will keep you occupied during the course of your holiday here. 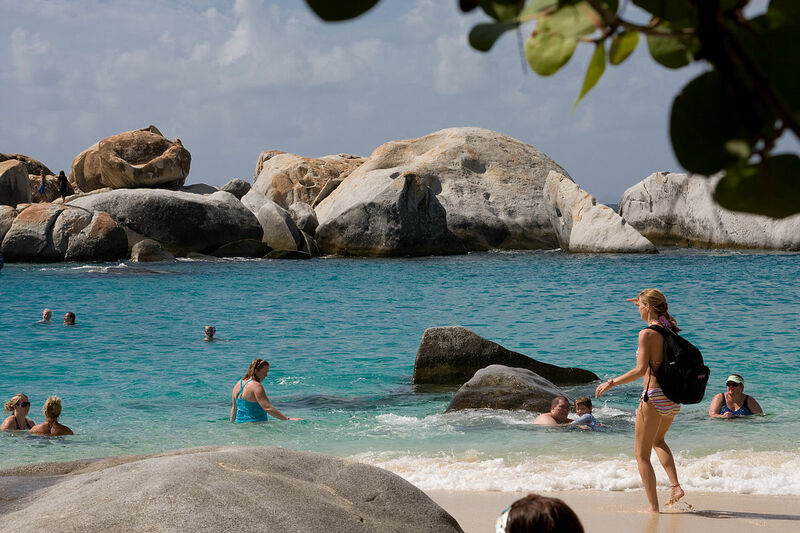 Poke around the ruins of an old copper mine, bathe in the grottoes created by gigantic granite boulders at a beach referred to as The Baths, or you can scale a steep but short trail to Virgin Gorda’s 1,359 foot peak. All of these activities are great ways to break up lower key ones, which include sun lounger time, or a trip to the spa. After watching the sun bid farewell to Virgin Gorda for another day, you’ll probably be wondering what this tiny isle has to offer in the way of nightlife. While it certainly can’t match the livelier offerings available on Saint John, you will be able to find plenty to do after dark here. The Bitter End Yacht Club offers waterside dining with live entertainment, while Hog Heaven is reputed to offer the best BBQ on Virgin Gorda. Those looking to go out for drinks will want to stick around the Bitter End, but the Bath and Turtle also has much to offer if you are looking for a different venue after dinner.